DC1100 features technology and engineering that allows monitoring of indoor air quality with an LCD screen that provides small and large particle counts with a dynamic bar graph showing actual count reading. 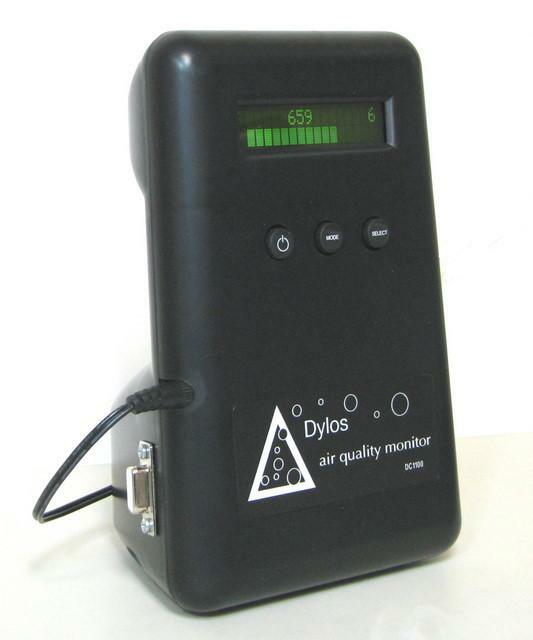 Multiple modes including minute, hour, day and monitor to evaluate your air quality and store up to 30 days of air quality history for review. The PC Interface Option has all the features of the standard DC1100, but also has a COM Port interface that allows you to capture the air quality data to a PC for graphing and analysis. A 9pin serial cable or USB-to-COM Port Adapter (not included) links the DC1100 to your PC or laptop which then captures the data as it samples. The graph below shows a comparison of the data captured by a DC1100 to a $4500 particle counter. Contact us at 877-351-2730 for your custom order requests. Non-PC order ships within 24-48 hours. PC Interface order ships in 2-3 days.